Realtime streams draw from the advantages of the processual nature of code/software to create a rapidly updating data-flow form that provides an ecology of real-time updates. An example of the real-time stream is the Twitter platform. Importantly, the real-time stream is not just an empirical object; it also serves as a technological imaginary, and as such points the direction of travel for new computational devices and experiences. Of course, the 'real-time' itself is a mediated construct, created in software and managed through careful processing and presentational cues for the user. After all, the mere passing through computation creates some latency, or data lag, which is different for each system, that marks it as already in the past before the user receives it as a feedback loop. But this latency in real-time response, which may be micro or milliseconds, may also be disguised from the user through various forms of design transitions, computational techniques or anticipatory processing which makes the experience of real-time feel as if it is truly real-time. Indeed, the real-time experience itself may also be jarring and with the speed of networks and computation increasing, some platforms and software systems build in techniques to soften the real-time flow using interface techniques, such as sliding "cards". The latency produced by real-time streaming systems is due in part to the feedback loops built into the software. A feedback loop involves four distinct stages. First comes the data: A behavior must be measured, captured, and stored. This is the evidence stage. Second, the information must be relayed to the individual, not in the raw-data form in which it was captured but in a context that makes it emotionally resonant. This is the relevance stage. But even compelling information is useless if we don’t know what to make of it, so we need a third stage: consequence. The information must illuminate one or more paths ahead. And finally, the fourth stage: action. There must be a clear moment when the individual can recalibrate a behavior, make a choice, and act. Then that action is measured, and the feedback loop can run once more, every action stimulating new behaviors that inch us closer to our goals (Goetz 2011). This imaginary of everyday life, a feedback loop within and through streams of data is predicated on the use of technical devices that allow us to manage and rely on these streaming feeds. This combined with an increasing social dimension to the web, with social media, online messaging and new forms of social interaction, allows behaviour to be modified in reaction to the streams of data received. However, the technologies to facilitate the use of these streams are currently under construction and open to intervention before they become concretised into specific forms. We can ask questions about how participative we want this stream-based ecology to be, how filtered and shaped to we want it, who should be the curators, and who we can we trust to do this. Cognitively, it is argued that streams are also suited to a type of reading called ‘distant reading’ as opposed to the ‘close reading’ of the humanities (Berry 2011a; Moretti 2007). This ‘close reading’ created a certain type of subject: narrativised, linear, what McLuhan called ‘typographic man’. 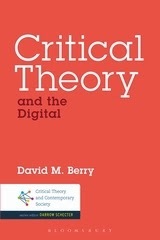 At present there is a paradoxical relationship between the close reading of current taught reading practices and the distant reading required for algorithmic approaches to information. 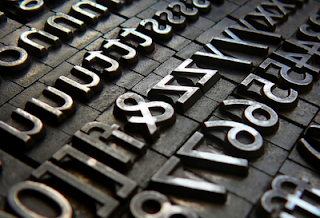 To illustrate, books are a great example of a media form that uses typographic devices for aiding cognition for ‘close’ reading: chapters, paragraphs, serif fonts, avoiding textual 'rivers' and white space. 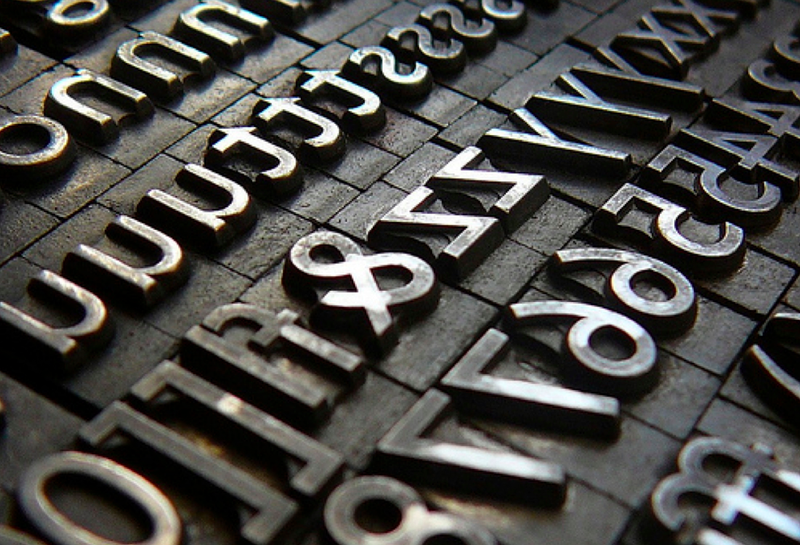 Most notably these were instantiated into professional typographic practices that are themselves now under stress from computational algorithmic approaches to typesetting and production. Close reading devices required a deep sense of awareness in relation to the the reader as a particular subject: autonomous, linear, narrativised and capable of feats of memory and cognitive processing. Devices were associated with a constellation of practices that were surrounded around the concept of the author (see Berry 2011b). Modern humans are capable of more sophisticated cognition than cavemen not because moderns are smarter... but because they have constructed smarter environments in which to work (Hayles 1999: 289). In a real-time stream ecology, the notion of the human is one that is radically different to the 'deep attention' of previous ages. Indeed, the user will be constantly bombarded with data from a thousand (million) different places, all in real-time, and requiring the complementary technology to manage and comprehend this data flow to avoid information overload. This, Hayles (2007) argues, will require 'hyper attention'. Additionally this has an affective dimension as the user is expected to desire the real-time stream, both to be in it, to follow it, and to participate in it, and where the user opts out, the technical devices are being developed to manage this too through curation, filtering and notification systems. Of course, this desiring subject is therefore then expected to pay for these streaming experiences, or even, perhaps, for better filtering, curation, and notification streams as the raw data flow will be incomprehensible without them. A stream. A real time, flowing, dynamic stream of information — that we as users and participants can dip in and out of and whether we participate in them or simply observe we are [...] a part of this flow. Stowe Boyd talks about this as the web as flow: “the first glimmers of a web that isn’t about pages and browsers” (Borthwick 2009). is not connecting identities which are already there, but a network that configures ontologies. The agents, their dimensions and what they are and do, all depend on the morphology of the relations in which they are involved (Callon 1998). Nevertheless, it seems clear that distant reading of streams will become increasingly important. These are skills that at present are neither normal practice for individuals, nor do we see strong system interfaces for managing this mediation yet. This distant reading will be, by definition, somewhat cognitively intense, strengthening the notion of a ‘now’ and intensifying temporal perception. This is a cognitive style reminiscent of a Husserlian ‘comet’ subjectivity, with a strong sense of self in the present, but which tails away into history. It would also require a self that is strongly coupled to technology which facilitates the possibility of managing a stream-like subjectivity in the first place. Indeed, today memory, history, cognition and self-presentation are all increasingly being mediated through computational devices and it is inevitable that to manage the additional real-time streams data flows new forms of software-enabled systems will be called for. 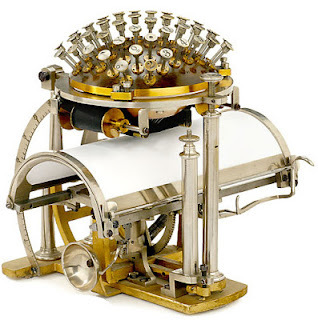 Above we gestured already towards the softwarization of 'close reading' and the changing structure of a ‘preferred reader’ or subject position towards one that is increasingly algorithmic (of course, this could be a human or non-human reader). Indeed it is suggestive that as a result of these moves to real-time streams that we will see the move from a linear model of narrative, exemplified by books, to a ‘dashboard of a calculation interface’ and ‘navigational platforms’, exemplified by new forms of software platforms. Indeed, these platforms, and here we are thinking of a screenic interface such as the iPad, allow the ‘reader’ to use the hand-and-eye in haptic interfaces to develop interactive exploratory approaches towards knowledge/information and ‘discovery’. This could, of course, still enable humanitistic notions of ‘close reading’ but the preferred reading style would increasingly be ‘distant reading’. 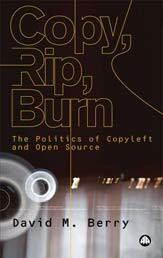 Partially, or completely, mediated through computational code-based devices. Non-linear, fragmentary, partial and pattern-matching software taking in real-time streams and presenting to the user a mode of cognition that is hyper attention based coupled with real-time navigational tools. Awaiting without horizon of the wait, awaiting what one does not expect yet or any longer, hospitality without reserve, welcoming salutation accorded in advance to the absolute surprise of the arrivant from whom or from which one will not ask anything in return and who or which will not be asked to commit to the domestic contracts of any welcoming power (family, state, nation, territory, native soil or blood, language, culture in general, even humanity), just opening which renounces any right to property, any right in general, messianic opening to what is coming, that is, to the event that cannot be awaited as such, or recognized in advance therefore, to the event as the foreigner itself, to her or to him for whom one must leave an empty place, always, in memory of the hope—and this is the very place of spectrality (Derrida 1994: 81). The Messianic refers to a structure of existence that involves waiting. Waiting even in activity, and a ceaseless openness towards a future that can never be circumscribed by the horizons of significance that we inevitably bring to bear upon the possible future. Derrida, like Benjamin, situates the messianic in a moment of hesitation. For Benjamin, that moment is one of "danger"; the past flashes up before disappearing forever. For Derrida, it is a moment of haunting; the spectral other makes its visitation in the disjunction between presence and absence, life and death, matter and spirit, that conditions representation. Although the messianic "trembles on the edge" of this event, we cannot anticipate its arrival. Because the arrival is never contingent upon any specific occurrence, the messianic hesitation "does not paralyze any decision, any affirmation, any responsibility. On the contrary, it grants them their elementary condition" (Specters 213). The moment of hesitation - the spectral moment - enables us to act as though the impossible might be possible, however limited the opportunities for radical change may appear to be in our everyday experiences. The global communications networks, although often invasive and dangerously reductive, also serve as privileged sites of messianic possibility precisely because of their accelerated virtualization (Tripp 2005). It obliges us more than ever to think the virtualization of space and time, the possibility of virtual events whose movement and speed prohibit us more than ever (more and otherwise than ever, for this is not absolutely and thoroughly new) from opposing presence to its representation. "real time" to "deferred time," effectivity to its simulacrum, the living to the non-living, in short, the living to the living-dead of its ghosts (Derrida 1994: 212). 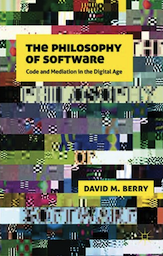 Berry, D. M. (2011a) The Philosophy of Software: Code and Mediation in the Digital Age, London: Palgrave Macmillan. Callon, M. (1998) Introduction: Embeddedness of Economic Markets in Economics, The Laws of the Markets, Oxford: Blackwell Publishers, pp.1-57. Derrida, J. (1994) Specters of Marx: The State of the Debt, the Work of Mourning, & the New International, Trans. 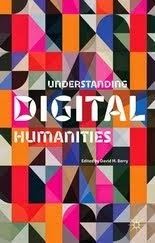 Peggy Kamuf, London: Routledge. Hayles, N. K. (2007) Hyper and Deep Attention: The Generational Divide in Cognitive Modes, Profession, 13, pp. 187-199.